Over time, gravity gets the best of all of us. Skin that becomes droopy and unattractive can be enhanced through a series of lifts. Lifts can be utilized on most areas of the body from head to toe. Arm, thigh and face are the most common areas while buttock lift are growing in popularity. Lifts are also beneficial to stomach-staple patients who lose a large amount of weight and are looking to remove the excess skin that many patients develop. Liposuction can be used in place of an arm lift in special instances where there is excess fat but the skin is still tight. If the skin is loose, however, the only method for correction is the arm lift. 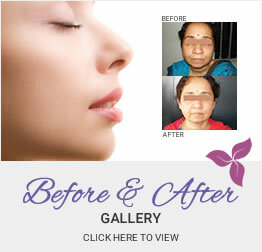 The drawback to the lift procedure is the noticeable scarring. Scarring therefore is the trade-off. Many people find that they prefer the scarring over the excess tissue and also find that the scarring can fade over time. An arm lift or brachioplasty is designed to remove loose skin and excessive fat from the upper arm caused by a build up of fatty deposits and a lost of elasticity. In minor cases liposuction is the only procedure required, in others patients may undergo surgery. Your surgeon will advise you on which procedure is the most appropriate for you. If you choose surgery you must be aware that you will have scars afterwards. This obviously depends on the extent of the operation, but following major surgery they may stretch from the armpit to the elbow along the inside of the arm. Patients after massive weight loss who have hanging, redundant skin are candidates. Also individuals who have arms that are disproportionate to the rest of their body. Individuals are asked to stop smoking if they are considering this surgery. While each person’s recovery is unique, the recovery period after an arm lift generally lasts one to two weeks. You'll probably be able to return to work in a week, and resume exercise within two weeks. Strenuous workouts and contact sports can be engaged in after about four weeks. Initially after the surgery you might experience some numbness. To enable your newly-sculpted skin adhere to the tissue underneath, your arm will be placed in a special compression garment.You might require a few stiches on the upper arm. After a brief stay in the recovery room, you will be allowed to go home. Post surgery instructions for recovery are just ordinary, you will have to avoid strenuous activity for the first week following surgery. The recovery period after an arm lift generally lasts one to two weeks, however, this differs from one individual to the other. Most patients return to work in a week, and resume exercise within two weeks.